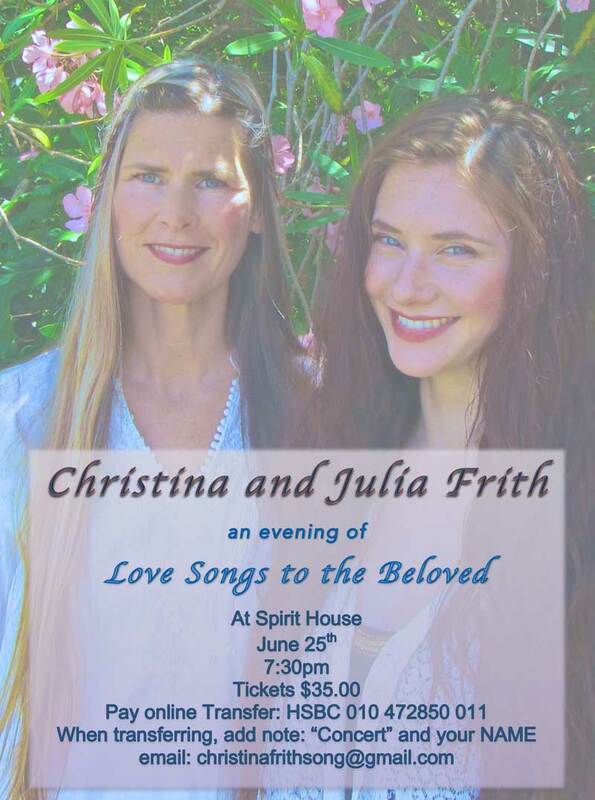 Christina and Julia Frith will be presenting “an evening of love songs to the beloved” at Spirit House on June 25, beginning at 7.30pm. Tickets to the event cost $35 and can be purchased by sending payment to HSBC account 010 472850 011; when transferring funds, purchased are asked to add a note saying “concert”, along with the buyer’s name. For more information, email cristinafrithsong@gmail.com.